Because Xojo is a single tool and language that makes a wide variety of apps, it’s easier for business and its citizen developers to learn and use. Does your organization need web apps, mobile apps, or desktop apps? Xojo can do all that. What about databases? Sure, Xojo can connect to most database servers including MySQL, PostgreSQL, Oracle, Microsoft SQL Server to work with your existing data. Plus Xojo also supports SQLite, one of the most popular databases in the world, and you can even use ODBC to connect to most anything else. Employees that understand the business and can make their own apps as needed are tremendously valuable, which is why there is so much traction in the citizen developer space. In fact, most Xojo customers consider themselves to be citizen developers, often referring to Xojo as their secret weapon. 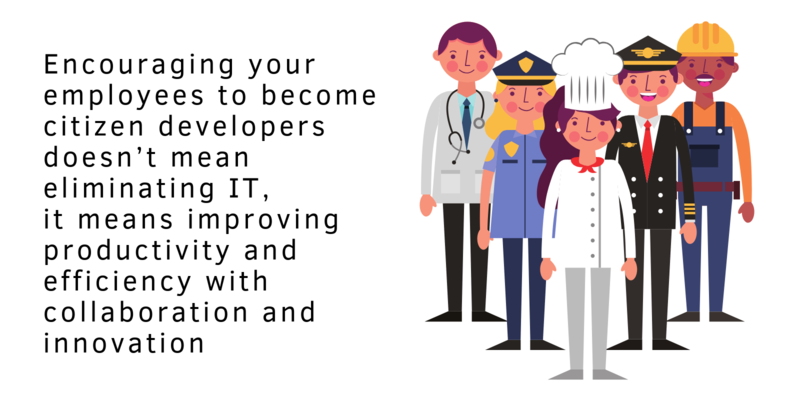 How can you upskill your employees to get them on the path to becoming citizen developers? First, identify those interested in learning more. Have them download Xojo for free and start looking at the many free resources that are available.